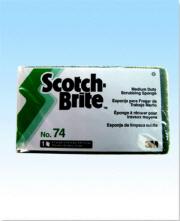 3M Scotch Brite No 74 (Each). 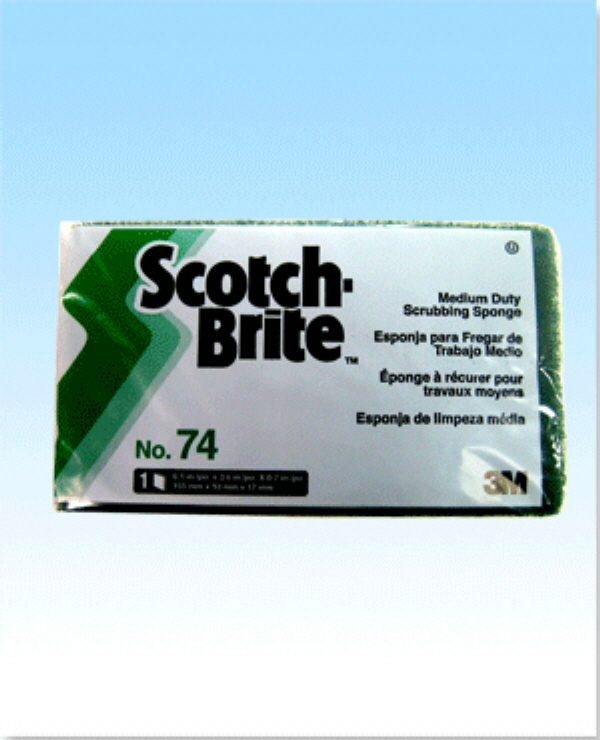 Scratches surfaces up to 8X less than other conventional sponges. 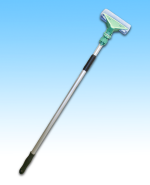 Cleans many surfaces such as pots and pans, elevators, sinks, cooking equipment, floors, walls, countertops, etc. 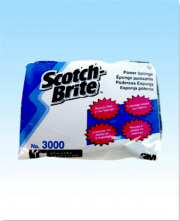 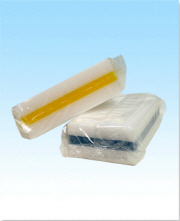 Sponge resists odors, staining and scrumbling caused by bacteria in the sponge.